SOLD - sorry this has now sold, but please contact us if you are interested in similar vehicles. For sale is my own personal 1959 Series Two. Fitted with a 200Tdi engine, parabolic springs and overdrive this is a very practical Land Rover and extremely cheap to run. Please click here for more details, or contact us for further information. 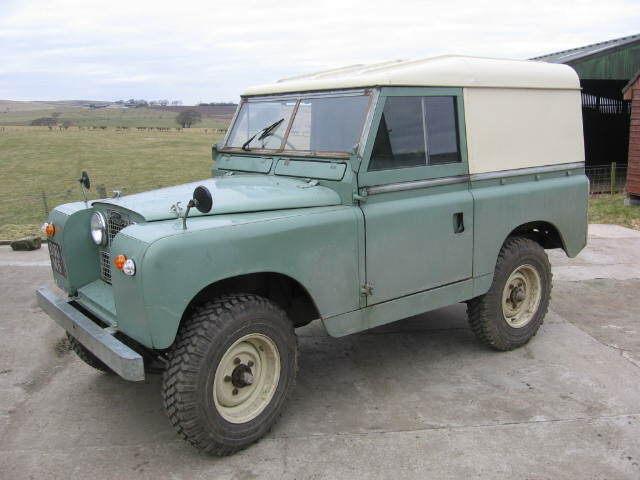 We are due to start rebuilding an early tax exempt 1972 Land Rover 88" Series III soon. This vehicle is currently a light green hardtop model with a 2286cc petrol engine which we plan to rebuild on a new galvanised chassis. The current plan is to keep the Land Rover as a standard petrol hardtop however, we can rebuild the Land Rover to a customers own specification if required such fitting a different engine, repainting the bodywork to a different colour, converting to a full soft-top etc. Please contact us for further information. If you are looking for a particular model or specification of Land Rover then please contact us. We might be able to source a suitable vehicle and rebuild or convert it to your requirements.